Hyderabad Gets Google’s Largest Campus Outside US! Hyderabad, capital of newly formed state Telangana, is fast emerging as the most preferred IT city. State IT Minister KT Rama Rao announced via Tweets that Google has agreed to build their largest campus outside US in Hyderabad at an investment of Rs 1000 crore. This is will the first such campus in Asia where an area of 2 million square feet would be developed to house 6500 to 13000 employees in the next 4 years. As per officials, a MoU was signed between Vice president, real estate & workplace at Google, David Radcliffe, and Telangana IT secretary Jayesh Ranjan at Google headquarters in Mountain View, California. Few days back, Flipkart had created ripples across the IT industry when they announced that they have 2 million square feet of commercial space leased for 20 years in Bangalore. This is India’s single biggest lease for office space, which can accommodate more than 20,000 employees. Flipkart will pay Rs 50 per square feet, per month for this property. 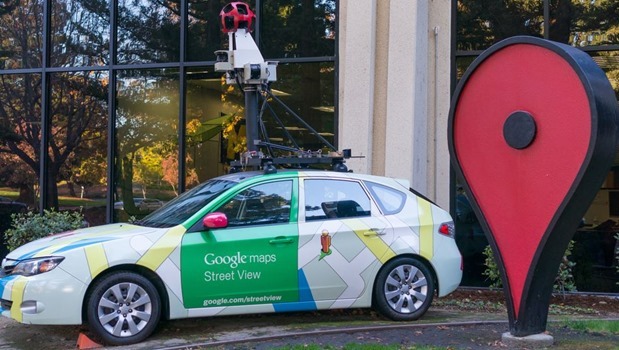 Additionally, Hyderabad will now become the first Indian city to be covered by Google Street View. Telangana IT Minister KT Rama Rao, who is in a visit to USA, met Google Street View team: Manik Gupta, director of product management and Narayana Tummala, ground truth engineering lead for Google and convinced them for this opportunity. However, Google made it clear that they can start mapping the city using Google Street View only after the Union Ministry provides the required permissions. .
Google had started mapping Bangalore for showcasing the city via Google Street View in 2011, but after the objection of the Central Govt., had to backtrack. However, Tourism Department allowed Google to capture major historical locations, and currently Google Street View is being used extensively by both Indians and foreign tourists. Tourism Ministry has even launched an Android app which used Google Street View features to showcase India’s most popular monuments. Hyderabad: The Best IT City In India? After convincing Google to build their largest campus (outside US) in Hyderabad, and making it the first Indian city to have Google Street View, Hyderabad is well on its way to claim the status of best IT city in India. Microsoft has already built their largest software development center outside US in Hyderabad. Now, it’s high time that Bangalore & Chennai does something drastically different to change the perception of global IT biggies: Hyderabad may soon be invincible! "Hyderabad Gets Google’s Largest Campus Outside US ; Becomes 1st Indian City covered by Google Street View", 5 out of 5 based on 1 ratings. When I read this “Campus” thing, I imagined something like “Osmania University campus”. And the figures of “2 million sft space will be built” also supported my imagination. 2 million sft means 50 acres, slightly less. If you add the open spaces to the 50 acre building I imagined a campus of more than hundred acres. Today I read that the land allotted is 7.2 acres. If you consider the land to be left for open places out of this 7.2 acres, now my imagination changed to “another” high rise tower coming near Gachibowli.